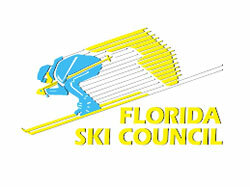 The Daytona Ski and Travel Club takes 4-5 trips every year. Some overseas, some in the US. See our upcoming trips here. When the Daytona Ski and Travel Club isn't traveling the world, we still like to socialize, see our upcoming Socials here. If you'd like to see all of the Daytona Ski and Travel Club's events past and present, check out our Calendar Page. 2017-2018 was a fun packed year in the USA and abroad. We are in the process of planning future short and long trips and activities from skiing to travel as far out at 2020. This should give you plenty of time to add DBSC&T to your schedules. We hope you enjoyed our recent and future meeting venue at the Halifax River Yacht Club, 331 S Beach Street, Daytona Beach. As newly elected president, I welcome any suggestions and assistance. Our club is looking forward to an adventuresome year. Please check the website for upcoming events & plan to attend our 1st Friday Happy Hour get togethers and more.